Brief: To design a product capable of replicating the intricate motion of a candle flame using a double sided 256 LED display. The budget was tight so we had to keep manufacturing costs to a minimum. Approach: Once we had understood the brief our first step in the development process was producing a schematic. 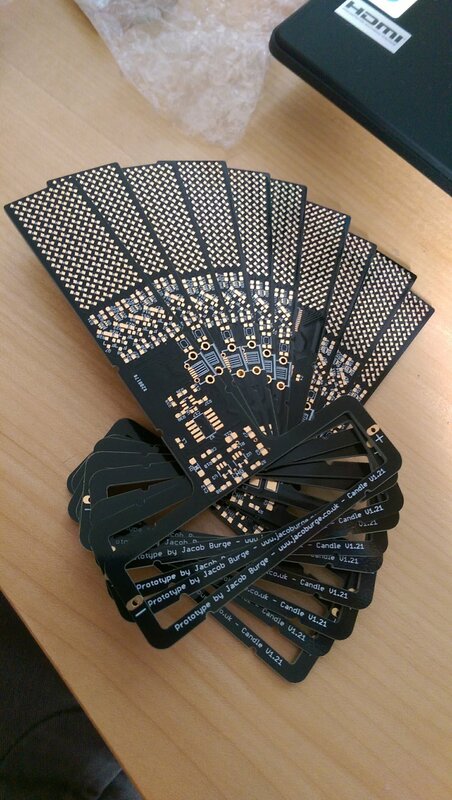 We opted for a standard multiplexed display with the intention of squeezing the tightly packed LED matrix onto a double sided PCB. To make this possible we opted to run two 128 LED matrices in series, allowing the front display to perfectly mirror the rear display with minimal extra processing. 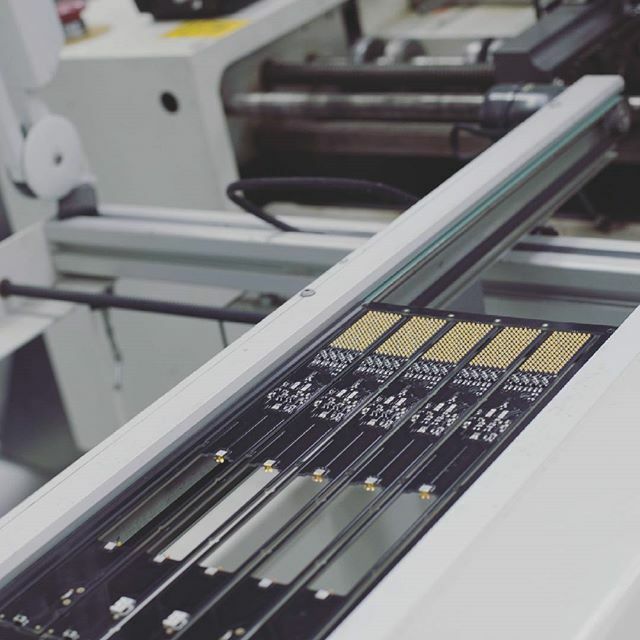 With this in mind we put together the rest of the circuit and ran a few tests to ensure the frame rate produced by the 48MHz ARM® Cortex® M0 processor was sufficient. 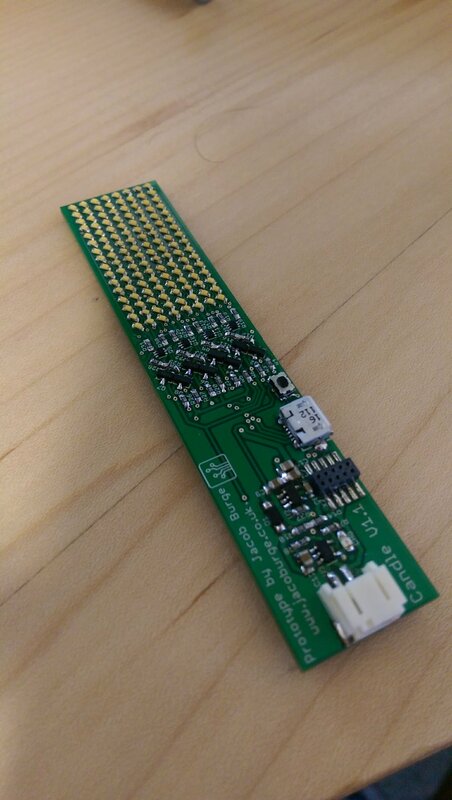 With successful initial testing we pushed on and produced an initial prototype, handling all of the board design, assembly, programming and testing in house. Working with the client we progressed through several more prototypes, adding features along the way and with every revision refining the design. With the client now happy with the design, a kickstarter campaign was launched and raised over twice the initial goal. Following this success we worked with the client to produce 2 more variants of the candle for use in more industrial applications. These are compatible with the lighting industry standard 12V supply and each satisfying there own unique requirements. Throughout the entire project we have been designing for manufacture and our final task was to produce a programming and test jig to ensure manufacturing can be carried out quickly and reliably. 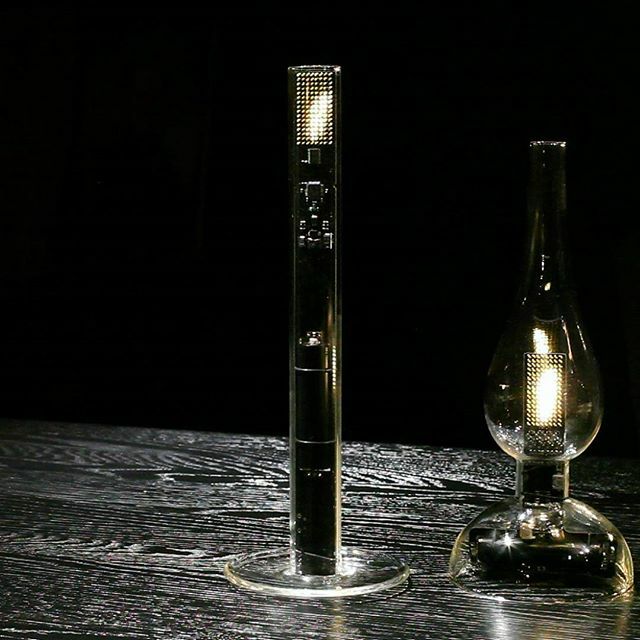 Outcome: A product line featuring four versions of the LED candle, from small to large, 3.7V battery powered to variable 7-12V supply powered and in varying form factors. The candles will be sold to the public as well as being integrated into various lighting installations across the globe.